Before T.C. Kynnersley, T. Cox and C.H.Cope Esqs. Charge of bigamy.- A young man named W.G.Reed, a coach-maker, residing in Francis Street, was brought up on remand, charged as above. It appeared from the evidence that in December 1850 (sic.) , the prisoner married a woman named Elizabeth French, at St. Andrew’s Church, Bordesley, in this town. – Mrs. Sarah Wall, pew opener at the church, said she saw the parties married, and Detective Jenns, who had the case in hand, produced a copy of the marriage certificate. Within seven months the coach-maker, who had gone up to London, became acquainted with a young woman named Emma Churchill, and was in July 1959, married to her at St. Phillip’s Church, Stepney. Jenns produced a copy of the certificate of this second wedding. The defence set up by the accused was an odd one. His first wife, a deformed young woman….agreed to make her his wife, on condition that, should she bring forth a living child, the union should be held to be binding, but if the babe died then the marriage would be void. The child did die and he, leaving the deformed woman, married Churchill in London. The Bench committed him to the next assizes for trial. The question of bail being referred to, the Magistrates said that they would accept two sureties in £50 each, and the prisoner at £100. Not being provided with the sureties, the bigamist was locked up. **The missing word, replaced in the text above with three dots, was not quite legible to me, and the more I looked at it the more unsure I was of what it read. I think, given the context, it perhaps referred to the impregnation of poor Elizabeth French. The date ‘1850’ seems quite clear in the print, but it would seem more probable that it should have read 1858, which would tie in with Reed’s trip to London ‘within seven months’. Before T.C.S Kynnersley and S. Buckley Esqs. Singular conduct of a pistol maker:- A respectable young man named William Henry Bate, who stated that he was a pistol maker in Talbot Street, Winson Green, was summoned to answer the following rather serious charge: A neat little Irish girl named Margaret Colorin, servant to Mrs. E. Mahoney, shopkeeper in the above locality, stated that a few nights ago – it was near ten o’clock and quite dark – she had occasion to go into the yard, into which the premises of the defendant Bate came. As she passed she distinctly heard Mrs. Bates say to her husband “Paddy’s a-coming”, and he directly fired off a pistol three several (sic.) times. The sound came as if defendant was not many yards off, and she was so much frightened that on getting into her mistress’s house she had a violent fit of hysterics. Mrs. Mahoney and another respectable female neighbour, proved hearing three distinct reports of fire-arms. The defence was that Mr. Bate, whose father is a gun-maker in Whittall Street, in accordance with his father’s practice, always proves his pistols before disposing of them. He did so on the night in question. He only discharged one, his wife letting off the other two. He distinctly denied pointing them at the girl, and did not hear his wife say that Paddy was coming. Mr. Kynnersley said it was a highly improper course to pursue at night and Mr. Bate must pay the costs, 7s. This was done. A Porcine Adventure:- A rough looking young fellow named William Bennett, living at the Worcester Wharf, was charged with being concealed on the premises of John Sheldon, a labouring man, residing in Cheapside, with intent to commit a felony. Sheldon said that he was awakened by his “Missis” between one and two o’clock in the morning, in consequence of a noise in the pigstye, and on going down to ascertain the cause, he found he prisoner lying in the stye in the comfortable straw bed that had been made up for the pigs on the previous evening. The animals themselves had been turned out of their quarters, and were grunting their discontent in the yard. Sheldon naively observed to the Bench that he believed that if he had not so opportunely discovered the intruder his pigs “would have gone in no time”. The Magistrates appeared to take a similar view of the matter and committed the prisoner to the House of Correction for seven days. A Couple of House Robbers:- William Smith and Maria Gill who cohabit together in Woodcock Street were placed at the bar charged with having in their possession a quantity of household goods, wearing apparel, and other articles, the produce of some of the innumerable house robberies that have taken place of late in all quarters of the town. The prisoners were apprehended on Friday night by Detective-officers Palmer and Clarke, and the house being searched a heap of bed linen, half a dozen chairs, a clock, and other property were found. A portion of these were identified by Mrs Coley, a married woman, living in Sheep Street, whose house was entered by means of skeleton keys during her absence and robbed on the 21st ult. The prisoners were therefore remanded until tomorrow, for the production of evidence in other charges against them. At this same hearing, directly after young Sarah had been sentenced, the ‘incorrigible’ serial inebriate William, ‘Billy’ Poole also made his 116th appearance before the magistrates – this time being fined 20 shillings for being drunk whilst in charge of a horse in the Bull Ring two days earlier. This report was found in Birmingham Daily Post, September 10th 1884. This paper can be viewed by subscription to the British Newspaper Archives and all of Birmingham’s 19th century newspapers can viewed free of charge at the Local Studies Centre, Library of Birmingham. PLEASE SUPPORT OUR LOCAL LIBRARIES. On Monday, June 25th 1894 no less than 99 cases were presented to magistrates at the Victoria Law Court. The Daily Post reported that the usual number for a Monday morning averaged around 60 and that ‘this week the leap has been a very significant one’. The cases presented were varied but, the paper declared, could not be ascribed to a recent ‘epidemic of ruffianism which seems to have settled in the city’ as only 11 of the cases involved assault ‘on a Saturday night in the whole of the city’. The report gave a broad outline of the array of cases that were heard, most of which were petty thefts, Sunday afternoon street gambling and ‘many cases of drunkeness’. Among those who had spent the weekend in the gaol for disorderly behaviour was Mary Ann Bayliss of Price Street who, after getting into a quarrel outside the Green Lamp pub in Dale End had smashed on of its windows with her boot. She had been arrested by constable Connolly and was committed to appear at the assizes. Thomas Spinks, ‘a well known character’ and an accomplice named as Henry Edwards were also committed to the assizes on charges of burglary. The two had broken into the house of William Thompson in Peel Street and stolen ‘three coats, a pair of boots and a number of other articles’. They were apprehended by constable Kelly at the Black Horse pub on Prospect Row, still in possession of much of the property although Edwards had already sent his young niece off to pawn the coats. 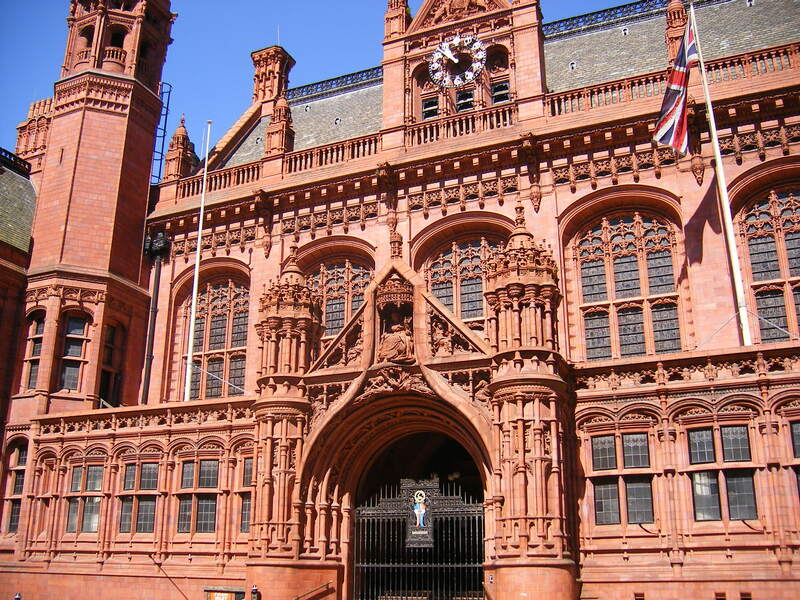 Other cases attracted fines, including ‘an unusually large number of cases before the Bench of men and women charged with being drunk and disorderly on Saturday night’. The fines ranged from five to ten shillings plus costs and it was reported that ‘in most instances evidence was given of the defendants using disgusting language’. It seems that at weekends the police were certainly kept on their toes in later nineteenth-century Birmingham! Birmingham’s nineteenth-century newspapers are available to view online by subscription to the British Newspaper Archives and free of charge at the Local Studies Centre on the 4th floor of the Library of Birmingham. Our local library and archive services are currently under threat from government funding cuts. Please support our libraries and archives in any way you can. This report from the Birmingham police court appeared in the Daily Post on May 27th, 1871. Other cases before the magistrates that day included a charge of embezzlement, the theft of coal and a robbery of a gentleman as he lay asleep in a ‘house of ill repute’. The case of Polly stands out as it does not appear as a criminal issue, but rather the JPs were being requested to decide who should have custody of a pet parrot. I’m afraid I cannot find what happened to Polly! As always, local newspapers can be viewed free of charge at the Library of Birmingham, on the 4th floor, Local Studies department. They are also available by subscription through the British Newspaper Archives. Frederic Schweiss, foreign bird dealer, Market Hall, was summoned by Mrs. Whitehouse, Graham Street, for detaining a parrot which, she alleged, belonged to her. Mrs. Whitehouse lost a bird some time ago and, passing the defendant’s stalls, she saw a bird which she believed to be her ‘pretty Polly’. The defendant denied that the parrot belonged to the complainant and called the person from whom he obtained it for £3. 10s. The bird was brought into court and, as Mrs. Whitehouse had stated that Polly could imitate the barking of a dog, the mewing of a cat, and do many other wonderful little tricks, she was requested to put the parrot through these various performances with a view to strengthen her claim. The complainant appealed very coaxingly to Polly, but the bird made no response. Mrs. Whitehouse explained this circumstance by saying that Polly, being in a strange place, and surrounded by a number of persons, was shy. 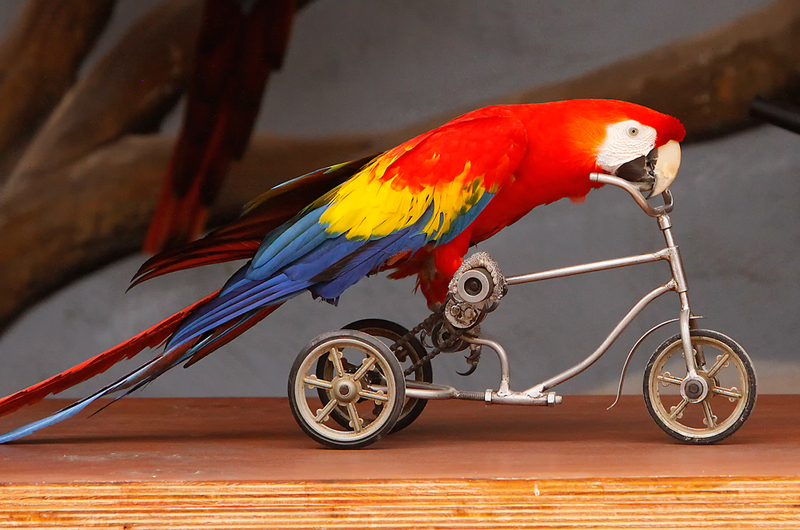 The defendant said the parrot could only say ‘Holyoak’ in English. It could speak in Spanish (Laughter). – Mr. Gem (a magistrate) to Mrs. Whitehouse ‘perhaps you can get it to talk a bit of Spanish, or say Holyoak’! Mrs. Whitehouse replied that the bird never spoke a word of Spanish. The defendant: ‘It can whistle the Blue Bells of Scotland’ (Laughter). Mr. Kynnersley (Magistrate) ‘the better plan will be to leave the parrot here until Monday, and in the meantime if it barks like a dog and does all you, Mrs. Whitehouse, credits it with, that will be strong proof in your favour. If it speaks Spanish, the presumption that it belongs to the defendant will be equally conclusive. – Adjourned.